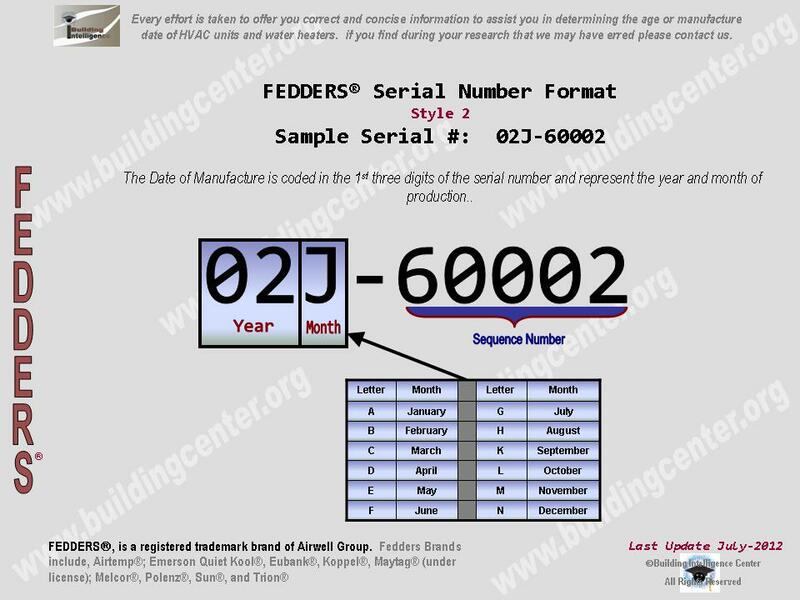 How to determine the date of production/manufacture or age of Tridon® HVAC Systems. 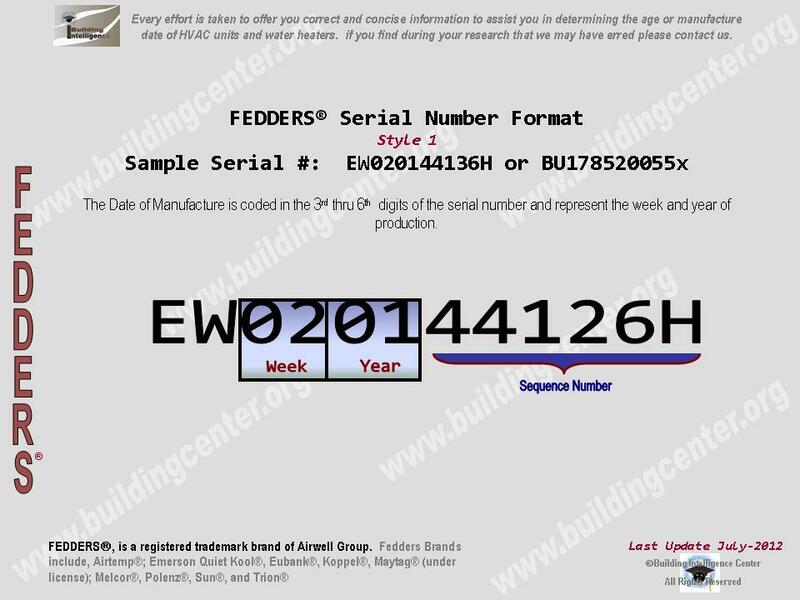 The date of production/manufacture or age of a Tridon® HVAC unit can be determined from the serial number. 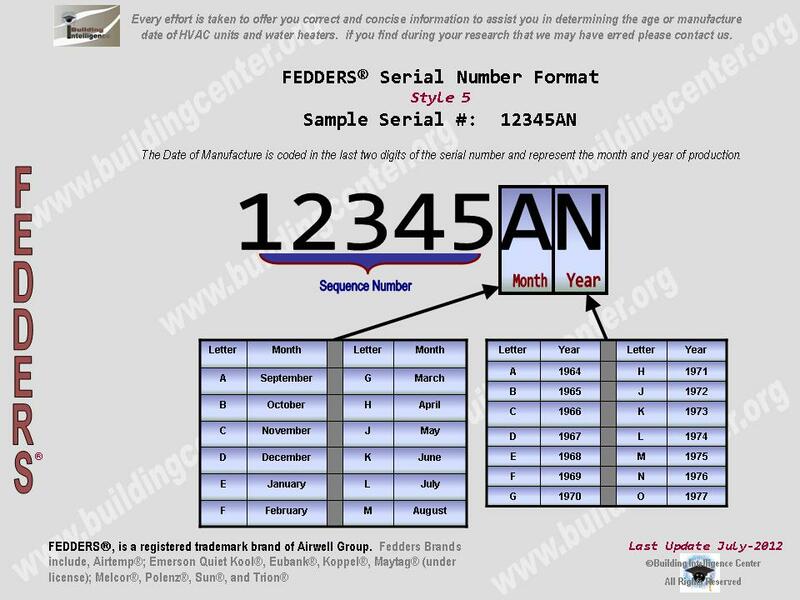 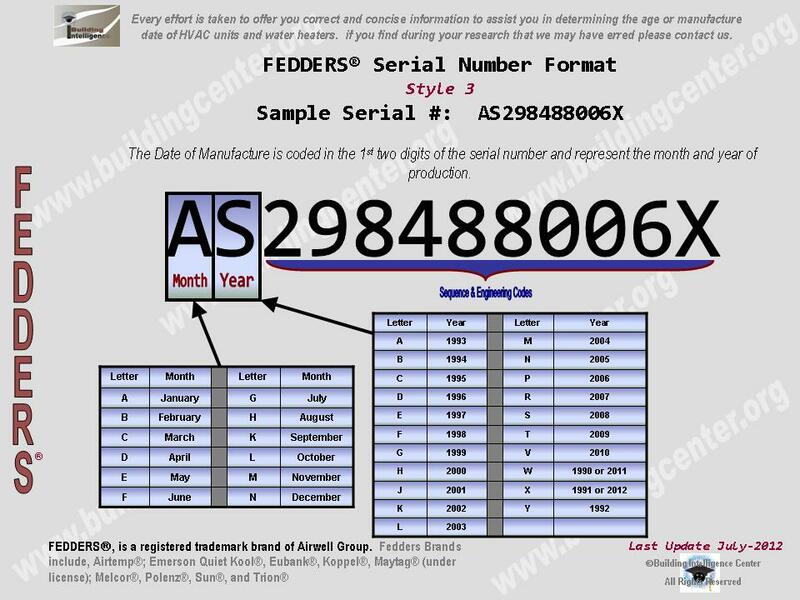 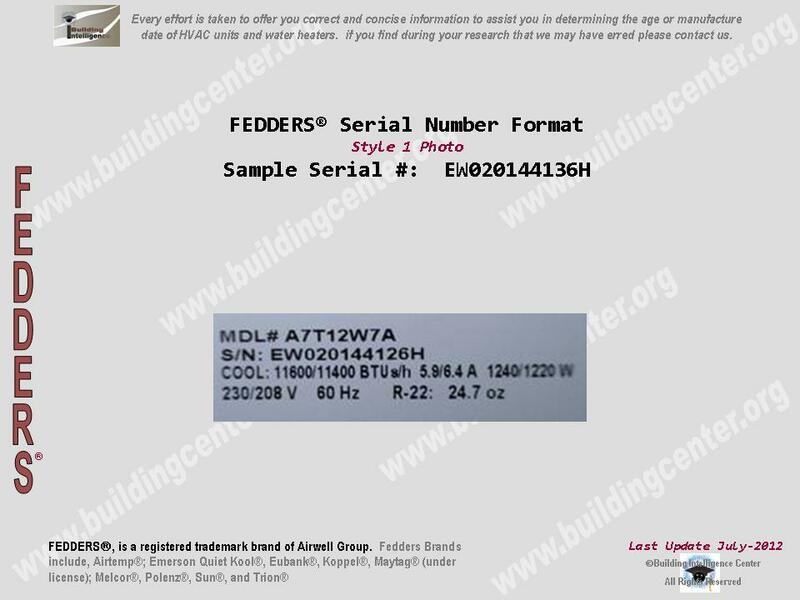 Serial number styles found: (NOTE: Serial Number styles found for Fedders-Airwell are being used here. 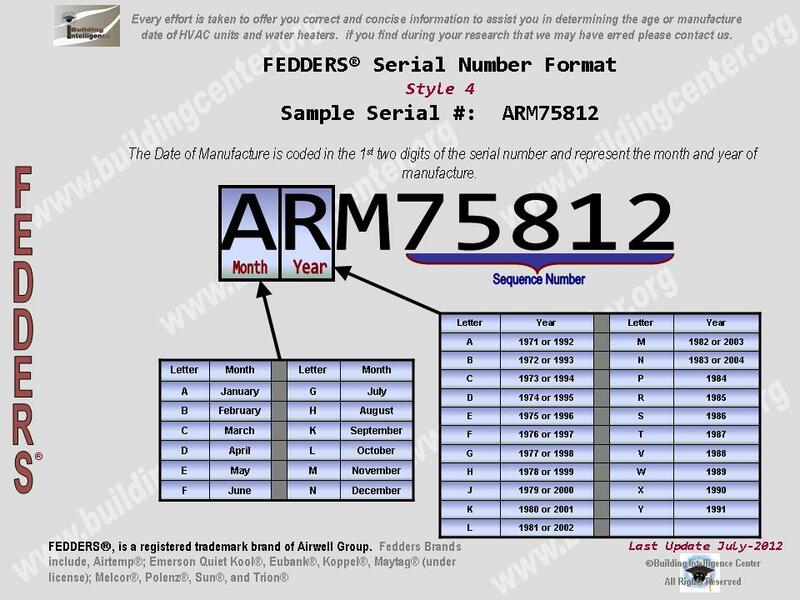 Although unconfirmed it is believed that all Fedders-Airwell units use these styles.